Finally, Ko Bancha Crorepati a.k.a. KBC is going to launch in Nepal. Ko Bancha Crorepati is Nepali version of “Who Wants to Be a Millionaire”; a very popular television show in U.K. and U.S.A. Nepal is the 161th country to launch this show. In India, the same program is popularly known as “Kaun Banega Crorepati”. The very first version of this franchise television show, “Who Wants to Be a Millionaire” was aired on 4th September 1998 in United Kingdom. This franchise show was first created by David Briggs, Steve Knight and Mike Whitehill and originally presented by Chris Tarrant. Since 11th February 2014, this television show was ended. There is a rumor that program is going to air again in U.K from 2018. Whatever it be, it is a good effort of AP1 Television in Nepal and we should appreciate their job. One after another, they are bringing the world’s popular franchise show such as Nepal Idol, Boogie Woogie, Nepal’s Got Talent and finally Ko Bancha Crorepati. Not a surprise ! 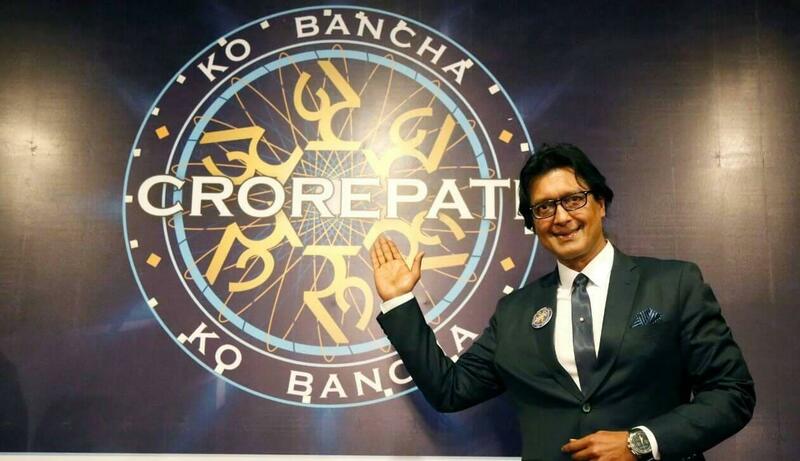 Rajesh Hamal is going to host the Ko Bancha Crorepati in Nepal. Hamal confirms his association with Ko Bancha Crorepati from instgram post. As of right now, registration for KBC Nepal has not been opened yet. Meanwhile, KBC Nepal had launched KBC Nepal App for both android and iOS. You can download KBC Nepal app and play to win cash prizes and several gift hampers every week. Ideally, show will be conducted through the franchise guidelines. Nothing has been officially declared that what exactly will be the registration process and how people will be selected for Hot Seat in KBC Nepal. If you want to download KBC Nepal official app in your mobile device, below is the link for android as well as iOS version. If you are willing to take part in KBC Nepal, you can download KBC Nepal apps and practice for the competition by playing Fastest Finger First. As we already mention above that right now you can play the Fastest Finger First and win cash prizes and several gift hampers every week. Here is the second week winner of KBC Nepal which was announced through KB Nepal Facebook page. For the regular updates about the show and its registration timelines, you can bookmark this page. NepSort will publish every details of announcement for registration and showtime of KBC Nepal from this same page.